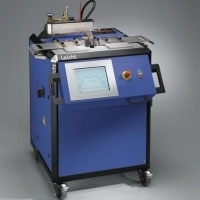 Leicht Carrier Strip Welder – a range of punched or stamped strip welding machines for use in press shops. Send us your samples and we can carry out welding trials and offer a suitbale machine for your application. Leicht Virgin Strip Welder – a range of raw or virgin strip welding machines for use in press shops. Send us your samples and we can carry out welding trials and offer a suitbale machine for your application.